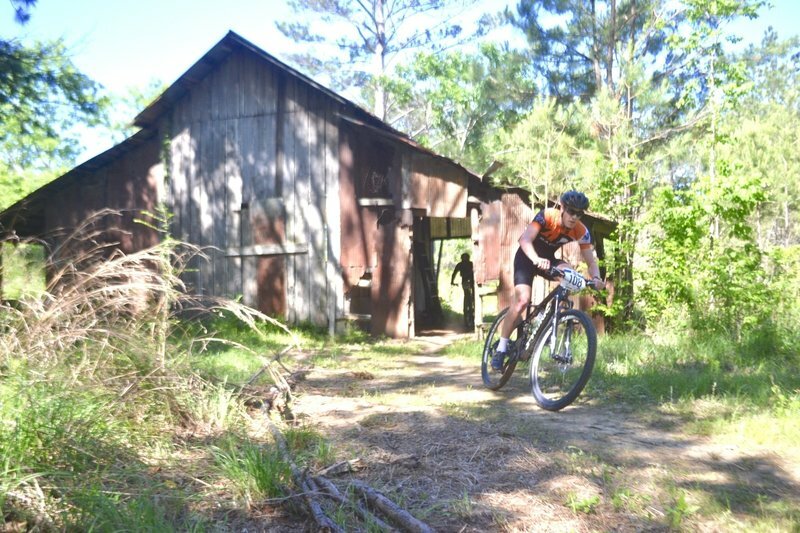 The trail now 10 miles long, goes through this old barn! So much FUN. the 2017 Dust N Bones race was the first event to enjoy this feature.